Lang Lang and Psy performed together at the opening ceremony of the 2014 Asian Games in Incheon, South Korea. 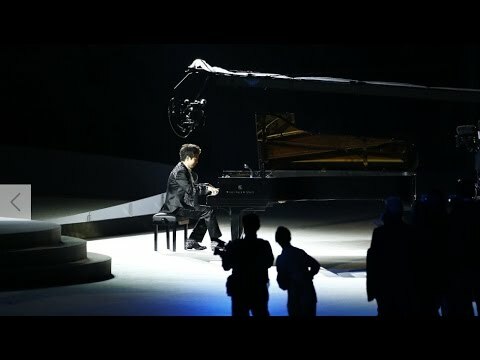 Just for the record, Lang Lang does not do the Gangnam Style dance. He is also wearing a literal Liberace suit (somebody has to tell him). I have heard that this games has overspent its budget on the ceremony and had to reduce the number of athletes they are sponsoring free of charge.